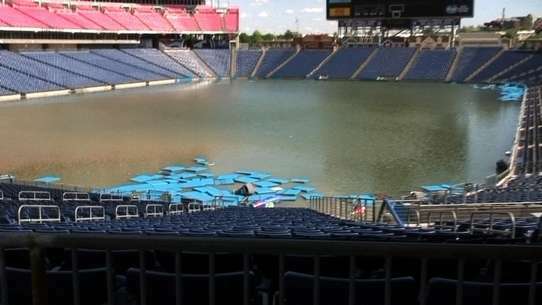 This is the one-year anniversary of the historical middle Tennessee floods. - incredible story - some lasting images below from the flooded Opryland Hotel, the Tennessee Titan's stadium (LP Field), and a flooded interstate and traffic that had nowhere to go. 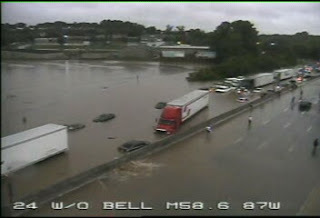 Nashville's airport saw 13.57" on May 1 and 2, 2010. Franklin TN saw 14.85" on May 1 and 2, 2010. Kingston Springs saw 14.91" on May 1 and 2, 2010. This is just a sampling as we found some places that received up to 20" in just 2 days. Cloudy with thunderstorm chances for your Monday across the Upper Cumberland area. High around 74° with a 50% of those storms. Chances increase tonight to 70% with a low of 55. For Tuesday, expect heavy rains and a high of just 57° and showers taper off Tuesday night and we fall to 38° by morning. Wednesday will see the rainfall end completely with sunshine breaking through. It will be cool, though, with highs only in the lower 60's. More in the latest, local forecast link below.